Dimitry Kochenov ist Professor für Europäisches Verfassungsrecht an der Universität Groningen. Armin von Bogdandy and his team have come up with a most fascinating proposal which advances our understanding of the profound connection between EU citizenship and rights. While the general line of argument in the proposal is promising, it is submitted that the proposal is probably not as innovative and not as practical as its authors suggest. Nevertheless, it is an important starting point for further scrutiny of the evolution of the interrelation between EU citizenship, fundamental rights, and the division of competences between the EU and the Member States. In my response I adopt an approach to EU federalism (to use the term in the vein of Robert Schütze (From Dual to Cooperative Federalism, OUP, 2010)) centering on the individual, in tune with Dora Kostakopoulou’s numerous writings, putting our simple human needs, joys, and fears above the self-contained aspirations of Begriffsjurisprudenz. I thus fully share von Bogdandy’s view that ‘Citizenship and fundamental rights are […] two mutually strengthening concepts which essentially pursue the very same objective, i.e. to bring the Union closer to the individual’. Such an approach provides a solid starting point for the analysis of the potential of EU citizenship’s interaction with fundamental rights. My preliminary observation is that the proposal is probably not as revolutionary, as the authors claim it to be. In a consistent line of case-law the Court of Justice has by now formulated a second jurisdiction test, which is an alternative to the classic cross-border situation approach. This new test, first hinted at in Rottmann, developed in Ruiz Zambrano and reconfirmed in McCarthy and Dereçi is essentially constructed around the logic identical to that of the von Bogdandy proposal. The infringement of some essential rights of EU citizens can activate EU law. In other words, what is proposed is not a likely revolution-to-come, but an already important part of the day-to-day reality in the European Union. What the proposal comes down to then is to give this new reality a doctrinal face and, also, to polish the rules of the application of the new jurisdiction test, which are far from clear at the moment. It is thus imperative to disagree, in part, with Anna Katharina Mangold’s critique of the proposal – when she laments that ‘problematically, [Ruiz Zambrano, which is the starting point of the proposal] did not have any cross border aspect’. The law has undoubtedly moved past the point of ‘cross-border’ orthodoxies a while ago, as I did my best to explain in a recent Columbia Journal of European Law article. Viewing the matter from the bench, Judge Lenaerts in a recent work confirmed the existence of the second, purely rights-based, jurisdiction test for the Court. The very contemporary legal reality of the EU thus shields the proposal at issue from some of the criticism expressed by colleagues, while similarly demonstrating that it is probably less revolutionary than claimed, as it is fully grounded in a by now established line of case-law. The latter fact undoubtedly reinforces the proposal’s appeal. As we move to the doctrinal essence of the proposed innovation, at least six ways to criticize the proposal can be outlined. I will treat them one by one. 1. Why is Solange worth copying? Firstly, the proposal is essentially based on the assumption that Solange is an example worth copying, which actually functioned in practice, improving the level of human rights protection. Presumably self-evident for some lawyers, for others, such as myself, such examples seem to be nowhere in sight. Rather than directly improving the level of human rights protection, Solange-style thinking allows national courts to save face when they need to give in. Acting by proxy through instigating a change in approach to human rights at a supranational level is, admittedly, a different matter. The argument that Solange helped to create an environment of legal pluralism is shaky. To agree with Gareth Davies, ‘where there are multiple sources of apparently constitutional law one always takes precedence and the other is no longer constitutional’, consequently, such pluralism ‘is an empty idea’ (Eric Stein Paper 2010/01, 3). Agreeing with Joseph Weiler, while ulterior motives should not play an essential role in the legal discourse –‘Jacob and Rachel may make love for sheer carnal pleasure…’ – the outcomes most certainly do – they will not necessarily be bad parents for the eventual offspring. While the intention of the CJEU in going for human rights could be to shield itself from the attacks of the national courts where Solange played a role, the result was, undoubtedly, the birth of the EU as a human rights organization, increasing the level of protection of individual citizens. What Solange-minded national courts do, never mind their intentions, is simply giving up power. Solange is probably not the best graft to transplant: its practical usefulness in terms of actually increasing the level of human rights protection at the legal level where it emerged can be contested. 2. Is giving up authority the same as claiming new power? Secondly, invoking Solange comparisons is probably misleading also due to the fact that the whole context of drawing ‘minimal level of protection’ lines changes entirely once one moves from the national to the supranational level of legal authority. While the main obligation of the BVerfG has always been, undoubtedly, to defend the Basic Law and human rights outlined therein, the CJEU has never had a general human rights jurisdiction. Consequently, the employment of the Solange approach by the CJEU comes down to – de facto at least – claiming new power. It is not clear in this context why allusions to a doctrinal approach developed in order to be as convincing as possible while gently giving up authority should necessarily be helpful in the context of enlarging the potential scope of legal intervention within a context of a different legal order. Conceptualizing the two contrarian processes separately would most likely be more helpful. Contradictory foundational assumptions seem to be at play here: the BVerfG did not need to prove that it has to protect human rights as stated in the Basic Law, while the legality of the CJEU’s intervention based on a similar claim – which I think is desirable and justifiable, but that is a different matter – is likely to be broadly questioned, to which point other commentators have equally drawn attention. Whether the extension of the powers of the Court to cover Article 2 TEU is a sufficient justification for such a move is an open question which can be discussed at length. 3. Choosing the abstract over the concrete: Whom will the suggested approach help? Thirdly, to side with Joseph Weiler yet again, ‘the essential characteristic of the system is defined by the quotidian and regular, rather than the exceptional’ (‘Prologue’, de Búrca and Weiler (eds. ), The Worlds of European Constitutionalism (2012), n.4). Not everybody has to be Schmittean: the exceptional, the extraordinary, although important, is clearly not the main aspect of the functioning of the law. To provide for a new approach which would allow for EU intervention only in the extraordinary and exceptional cases of ‘systemic failure’, which is what von Bogdandy suggests, seemingly stops short of actually realizing the full potential of the recent developments in the field of EU citizenship, which are quotidian, mundane, and ordinary in nature. The most pressing question which arises upon reading the proposal is, in agreement with Daniel Thym: ‘Whom will this help?’ Arguably, citizens have little use in the shield form the extraordinary, from the ‘failure to abide by the final judgment of the ECHR’ (in von Bogdandy’s example). Rather, there seems to be a need in dealing with the day-to-day limitations of rights, which are often non-sensical and unjustifiable, especially when regarded from the EU law perspective, but are tolerated at the national level due to a number of reasons ranging from sovereignty-inspired thinking to what is referred to as the ‘constitutional traditions’ of the Member States. Besides the claim made by Pál Sonnevend that the meta approach will be extremely difficult to utilize, it will not solve the most important problems EU citizens are facing. The current context is provided by the general trend of constitutional development consisting in a move, in the words of Moshe Cohen-Eliya and Iddo Porat, from the ‘culture of authority’ to the ‘culture of justification’. The main problem, which thousands of EU citizens are facing is not connected to the systemic meta-violations of rights, but to a myriad of most mundane ones, which are not dealt with by national authorities. These are caused by the attempts of the Member States to have recourse to their ‘constitutional traditions’ as a pretext not to justify, rationally, their policies which can be viewed as infringing human rights. In this sense, by opening up an avenue for EU citizens to contest deeply-engrained assumptions, in thousands of ordinary cases involving the violations of rights of the most ordinary EU citizens, the CJEU turns the Union into a powerful source of Socratic contestation, which is essential for democracy (see Mattias Kumm). What is most needed to make the tandem of rights and citizenship more effective is thus precisely the shaping of the mundane everyday necessity to justify the actions of authorities in the eyes of, also, EU law, as was the case in Rottmann, Ruiz Zambrano etc. – not the drawing of some highly abstract lines in the sand – what von Bogdandy suggests. 4. Rebutting presumptions: Who will be the judge? Also in purely procedural terms, the idea of the exceptionality of the EU’s involvement seems to be losing out compared with the approach of a quotidian engagement with EU citizenship rights with no regard to cross-border situations which the Court is actually demonstrating in Rottmann and Ruiz Zambrano. The rebuttal of the presumption of ‘equal protection of rights’ which is deployed by von Bogdandy as an essential practical element of the operation of the proposal is unlikely to be functional in practice, since in the majority of cases it will clearly be up to the national courts to judge if the presumption is indeed rebutted, thus disqualifying the CJEU from intervening. When von Bogdandy clarifies that the rebuttal of such presumption will be the ‘basis […] to seek redress before national courts and the CJEU’, it is clear where EU citizens will actually end-up with their grievances in the majority of cases. This point is directly related to the first drawback of the proposal identified above: rebutting the presumption to justly the grab of power is essentially different from doing the same to give the power up. 5. The source of the problem: Is it the Member State law or its interaction with EU law? (3) when the citizens are, literally, shared by the two legal orders. This is nothing else but the essence of reverse discrimination, thus, which seriously qualifies the workability of von Bogdandy’s suggested starting presumption that the Member States ‘generally safeguard the essential content of fundamental rights’. Not surprisingly, this problem did not arise in the original Solange context, where the rights under the Basic Law and EU Law could be legitimately compared. Contrary to von Bogdandy’s suggested presumption, the starting assumption behind reverse discrimination is the non-comparability of rights of EU citizens. The CJEU clearly sensed this when deciding Rottmann and Ruiz Zambrano. There is not a word in these cases about any cross-border logic simply because it is antithetical to the logic of citizenship, which gradually emerges in full harmony with the Treaty text. Article 20 TFEU, just as Article 9 TEU is silent about cross border movements. The latter point makes Anna Katharina Mangold’s worries that ‘by means of Union citizenship, the ECJ could circumvent the principles of conferral and subsidiarity’ essentially meaningless: we are bound by the text of the Treaty and should not read into Part II TFEU what was not included into it by the drafters (e.g. cross-border requirements), who presumably have conferred sufficient powers on the EU to ensure that the text of Part II TFEU is not meaningless. 6. Which role is to be given to the Charter in all this? While von Bogdandy falls back on the fundamental values of the Union in submitting that there is clearly no vacuum outside the scope of Article 51(1) of the Charter, which is limited to the instances of implementation of EU law, the very case-law of the Court which von Bogdandy uses as a starting point seems to supply an illustration of how ephemeral the borderline established by Article 51(1) CFR is. While it restricts EU’s human rights involvement, the CJEU is willing to use unwritten rights and principles – such as equality in Eman and Sevinger, or the right not to be forced to leave the territory of the Union in Ruiz Zambrano – in the situations which are undoubtedly not covered by the Charter. The Court has clearly demonstrated that it does not regard the Charter as the only source of fundamental rights and – rightly so – not as an insurmountable limiting factor of its own fundamental rights jurisdiction. Such developments have been predicted inter alia by Allard Knook long ago (42 CMLRev., 2005, 367). The Charter is not the only, but merely one of the documents clarifying the substance and the scope of EU human rights. Consequently, it is possible to argue that beyond the values of Article 2 TEU there can be numerous other sources of inspiration guiding the Court in discovering and protecting fundamental rights outside the limitations imposed by Article 51(1) CFR. It is telling that the Court has never turned to the Charter in the recent groundbreaking case-law on the scope of its jurisdiction in EU citizenship cases. This is not surprising, however: the CJEU opened up the potential for rights to play the key role in activating EU law and the Charter is limited to the scope of this very law, which means that the rights deployed by the Court to enlarge the scope of its own jurisdiction are bound to be non-Charter rights. Crucially, however, such non-Charter rights are not confined to Article 2 TEU. The proposal’s emphasis on the importance of Article 2 TEU, although interesting, is seemingly not indispensable, as the lacking references to Article 2 TEU in the recent case-law seem to demonstrate. All the problems in Hungary notwithstanding, the strength of the innovative proposal by von Bogdandy and his team rightly goes beyond the current Hungarian examples or any similar instances of systemic constitutional failure in particular Member States. It is clearly problematic that ‘the defence of the Union’s foundational values is largely left to national and international institutions’. Although I fully agree with Daniel Thym, Peter Lindseth and Anna Katharina Mangold that the problem the proposal is trying to solve is probably political, this does not seem to be a convincing justification for discarding the attempts to improve the lives of EU citizens – this is what the idea of fundamental rights is about after all – using all the available legal means. In this sense, going beyond Article 7 TEU, the importance of which is rightly emphasized by Wojciech Sadurski, is a great opportunity worth considering in the most serious way. References to some obscure ‘political question’ doctrine while critiquing the proposal fail to convince, merely occluding clarity. It is true, at the same time that the evolution of the law will have political consequences – necessarily so – and in this Antje Wiener is absolutely right in drawing our attention to the ongoing transformation of stateness in Europe. European law is changing at an ever increasing pace and new solutions to the outstanding problems should constantly be sought. The proposal by von Bogdandy and his team is an important contribution in the context of this search. 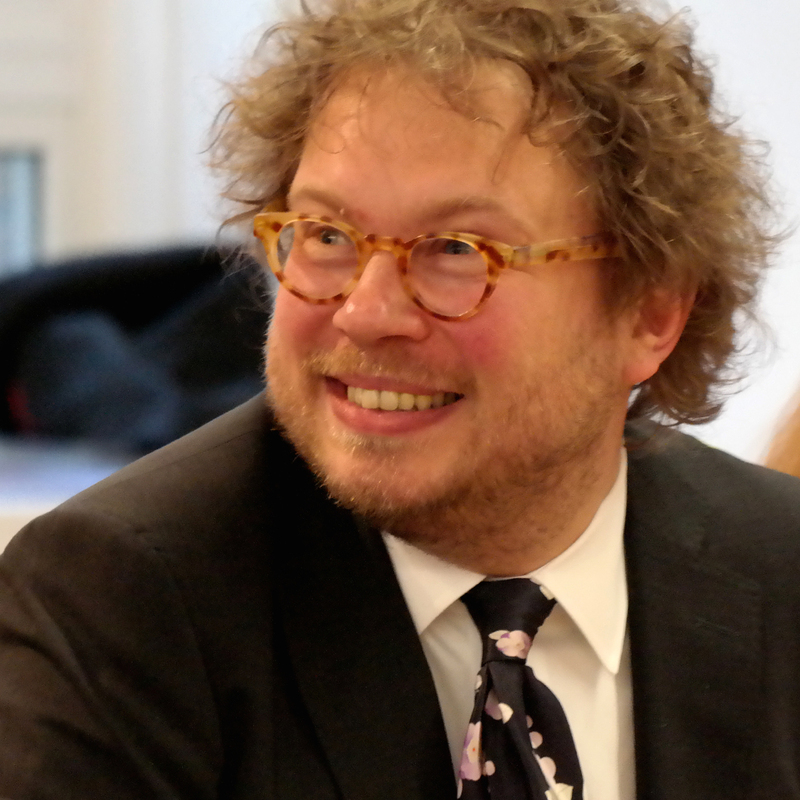 Dimitry Kochenov holds the Chair of EU Constitutional Law at the University of Groningen. SUGGESTED CITATION Kochenov, Dimitry: Rescue Package for Fundamental Rights: Comments by DIMITRY KOCHENOV, VerfBlog, 2012/2/27, https://verfassungsblog.de/rescue-package-fundamental-rights-comments-dimitry-kochenov/. as you directly responded to my statement, I would like to clarify two points. My contribution is, first, concerned with the question why the Court developed EU citizenship in the way it did, namely developing it into an independent right. My argument here was: the Court in Ruiz Zambrano wanted to avoid the cross-border requirement. To my knowledge at least, most commentators were also quite astonished by the fact that the Court made itself independent of the cross-border requirement. Contrary to you, I do not regard the "existence of the second, purely rights-based, jurisdiction test for the Court" as firmly established as you apparently already do. My second concern, then, is a normative one. Is the Court the right institution to enlarge citizenship in the way it did? Nota bene: I am not against politically powerful and independent rights stemming from citizenship (especially in those outrageous cases of pending extraditions of spouses). I am also fully aware that in Ruiz Zambrano the ECJ (CJEU) did what it has always done in the history of European integration – it took over the political helmet. I am criticising this approach. I think that not again should the Court lead into a new era of European integration. This will not cure the political problems of identification within the EU. And it is also problematic in terms of democratic legitimation. You argue that the ECJ’s interpretation of Art. 20 TEU is "in full harmony with the Treaty text". We all know very well that Treaty texts are open to interpretation and that in most cases there is more than just one possible answer to the question as to how correctly interpret the Treaty. In this situation, I argue that it is the duty of other institutions, namely those democratically legitimised, to determine the meaning of EU citizenship – as opposed to the ECJ. Essentially, I argue: the end does not justify the means. I am eagerly looking forward to an exchange of arguments on this topic!